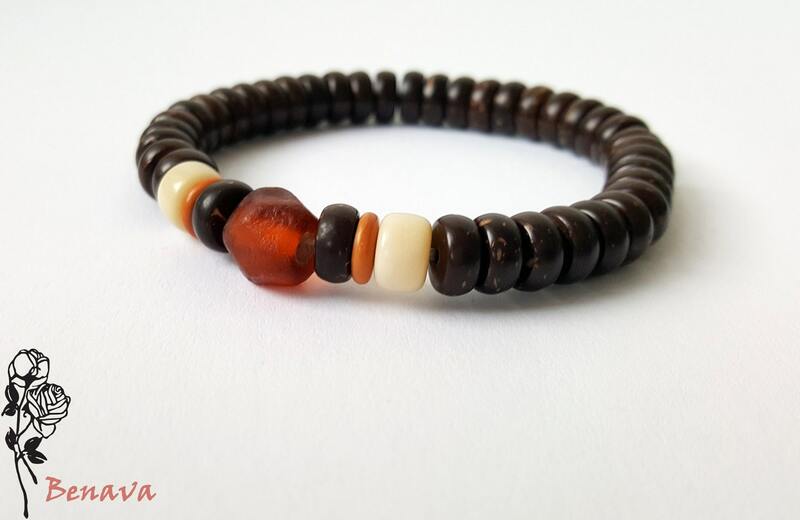 This bracelet is made from hand-cut Brown coconut pearls. The pearls have a great natural fiber pattern. 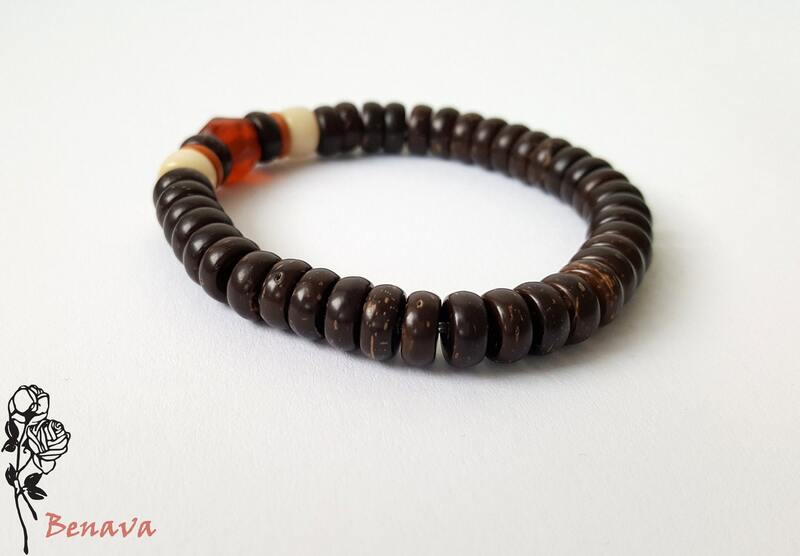 This beautiful piece of jewelry is adorned by a glass bead, which traditionally were melted on an open flame (Lampwork technique). 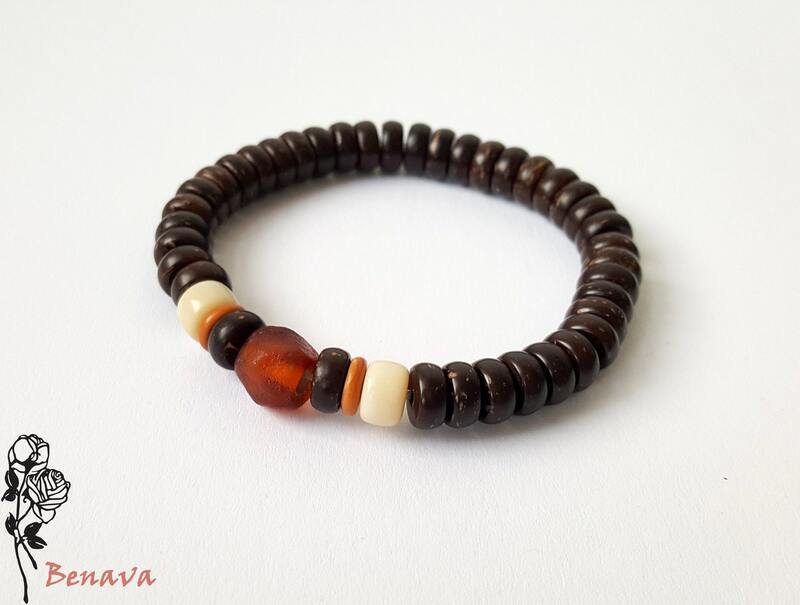 The bead is flanked by both a white and a light brown item from the Bodhi seeds and olive stone. 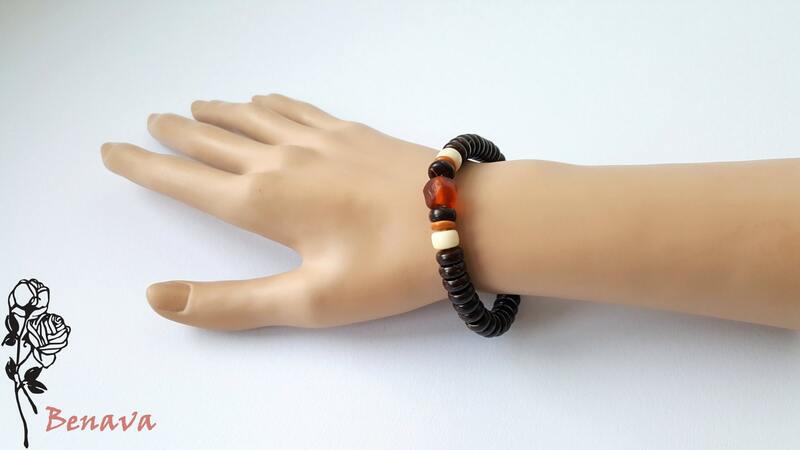 The bracelet is finished with a stretch cable, so it nestles perfectly your arm.